RT – February 12, 2018: The fear that has gripped the cryptocurrency market is keeping bitcoin and other digital coins from making new gains, according to analysts polled by RT. NYTIMES – February 5, 2018: The scale of those problems is starting to become clear as digital tokens have slid more than 50 percent in value from their peaks in early January (2018), with steep drops on Monday pushing the value of Bitcoin specifically below $7,000. Hackers draining funds from online exchanges. Ponzi schemes. Government regulators unable to keep up with the rise of so-called cryptocurrencies. Signs of trouble have appeared at nearly every level of the industry, from the biggest exchanges to news sites and chat rooms where the investment frenzy is discussed. BitConnect had operated openly for months, collecting hundreds of millions of dollars from people around the world despite being labeled a Ponzi scheme by many prominent people in the virtual currency industry. BitConnect offered tokens on a decentralized network, similar to Bitcoin, but promised regular payouts to coin holders. RT – January 25, 2018: A draft law introducing the national cryptocurrency, CryptoRuble, as a means of payment in Russia has been submitted to parliament. SPUTNIKNEWS – January 25, 2018: Cybersecurity is among the issues being raised on the sidelines of the World Economic Forum, now in full swing in Davos. 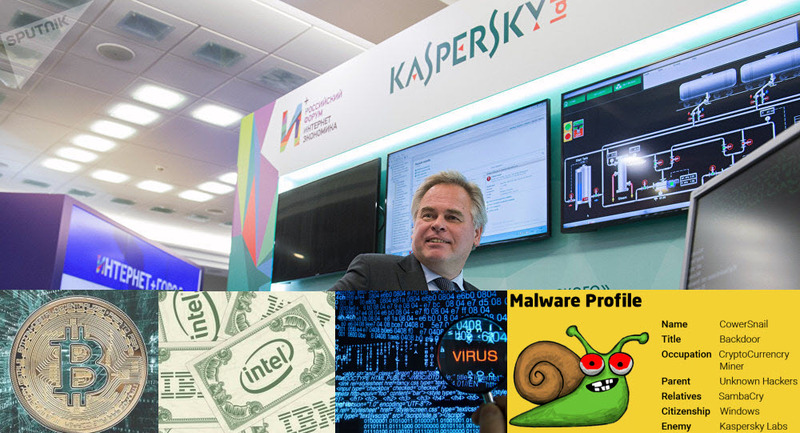 Russia’s Kaspersky Lab appears to appreciate the significance of the agenda as it has warned of a yet new IT threat – this time to computer users’ financial data. Specialists from Kaspersky Lab, the biggest cybersecurity company in Russia, have spotted a new Trojan called Mezzo, which was specially developed to hunt for “real,” conventional money as well as cryptocurrencies, the company’s press release states. Not many computers have been infected by Mezzo so far, but all of them have proved to be in Russia. The virus spreads with the help of external loading programs. Once on a device, the Trojan virus creates a unique identification code for an infected computer which is further used to add a password protected folder on the hackers’ server to store all the files stolen from the victim’s computer. Mezzo takes a primary interest in text files of popular accounting software, which were created less than two minutes earlier. When it spots these types of documents, the Trojan waits for a dialogue window to open to exchange data between a bank and an accounting system. If this happens it can replace the account details exactly as the exchange takes place. Voila! Your money is sent to them. If no dialogue window opens, Mezzo can even falsify the whole file. 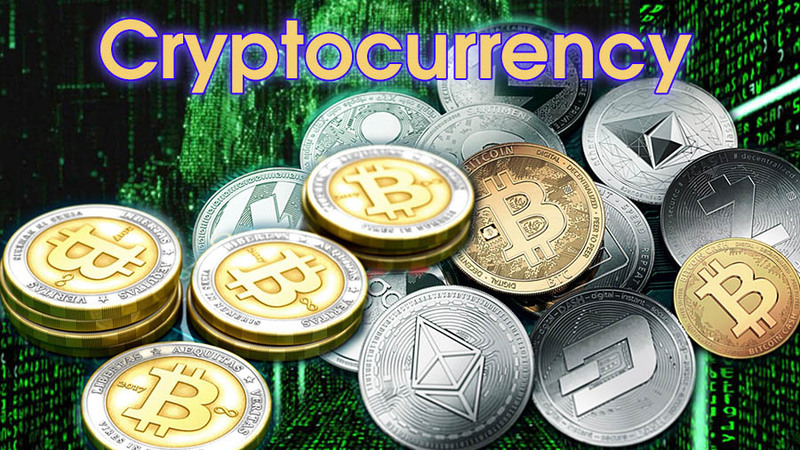 “Analysis of the Mezzo code has shown that the virus can be linked to another much talked about Trojan, which is hunting for cryptocurrencies, the so-called CryptoShuffler. Kaspersky Lab experts have discovered that the Mezzo code and that of AlinaBot, which loads CryptoShuffler, are identical to the very last line. The codes of both viruses have obviously been written by the same virus programmers, thus they may be also interested in users’ crypto-wallets,” the company noted. SPUTNIKNEWS – January 26, 2018: Coincheck Inc., the operator of one of Japan’s leading trading platforms for cryptocurrencies has announced its loss of $530 million in customer assets due to hacking. Using block chain, cryptocurrencies are providing high levels of security and anonymity if used correctly. The latter, however, appeared to be the cause of concern for some governments around the world amid fears that criminals might take advantage of such anonymity. SPUTNIKNEWS – January 27, 2018: At the Nordic Business Forum, Steve Wozniak confessed that he got rid of all his bitcoins because he was tired of all the fuss around its price. The tech icon shared that he had purchased the cryptocurrency last summer when a coin cost $700, as he wanted to “experiment with it.” Although later when things got insane on the crypto market with bitcoin’s price reaching almost $20,000, he decided that enough was enough and sold it all. “When it shot up high, I said I don’t want to be one of those people who watches and watches it and cares about the number. I don’t want that kind of care in my life,” Wozniak said in a Q&A with Seth Godin. NYTIMES – January 31, 2018: And according to the NYTimes, a growing number of virtual currency investors are worried that the prices of Bitcoin and other digital tokens have been artificially propped up by a widely used exchange called Bitfinex, which has a checkered history of hacks and opaque business practices. And Bitfinex issue a virtual currency called Tether, but unlike most digital-tokens, every Tether is supposed to be backed by traditional money — the United States dollar. When new Tether tokens are issued investors give them dollars, for example one dollar is worth one token. And because of the credibility that comes with that is tied to the dollar, Tether are often used to buy other virtual currencies like Bitcoin. In the past, Bitfinex executives and spokesman have said that its customers are simply using Tether to buy virtual currencies as they might otherwise use United States dollars. RT – February 1, 2018: South Korean tech giant Samsung has announced that it’s developing hardware specially designed for cryptocurrency mining. And the disclosure in the company’s latest earnings report said that the company had overtaken Intel to become the world’s biggest chipmaker last year. The chips are known as ASICs, or application-specific integrated circuits, are custom-designed to carry out a single task – “mining” bitcoin or another specific cryptocurrency. However, this year, an entrepreneur New York-based company started selling processors that are custom-designed for bitcoin mining, and promised better performance and lower energy use than GPU (graphics processing unit) chips, which are still more commonly associated with the task. A shortage of high-end GPU cards has recently caused an increase in their prices, making the rival ASIC technology even more appealing. And last year (2017), Samsung completed the development of its own bitcoin-related ASIC chip, launching mass production earlier this month (January 2017). It may rival Beijing’s Bitmain, which claims to supply 70 percent of the world’s bitcoin ASICs. RT – February 1, 2018: Bitcoin and other major cryptocurrencies are falling substantially on Thursday after India announced a crackdown on their trading and circulation. The largest cryptocurrency, bitcoin, dropped over nine percent below $9,300, the lowest level seen since November (2017). Recently, some users have been highly critical of the platform for hosting dubious cryptocurrency-related ads, some of which appeared to promote get-rich-quick schemes and potential scams. And earlier this month BuzzFeed News highlighted how some of these Facebook ads peddled bitcoin-related disinformation and fake news touting cryptocurrency services and initial coin offerings (ICOs). SPUTNIKNEWS – February 2, 2018: The world’s most popular cryptocurrency continued to lose value on Friday, sliding by nine percent on the Luxembourg-based bitstamp exchange. Bitcoin had fallen to $8,155 by 9:15 am GMT, losing up to a third of its value compared to the last week on a track for the poorest weekly result since April 2013. In comparison to its highest price in December 2017, the cryptocurrency has lost some 60 percent. Other large cryptocurrencies fell by 20 percent in the past 24 hours, according to Coinmarketcap.com. SPUTNIKNEWS – February 3, 2018: Many experts continue to remain optimistic about Bitcoin’s market price in 2018, while some claim it will decline as the cryptocurrency encounters new challenges and regulations. Last year (2016) is proving to be the most successful for Bitcoin, with its market price skyrocketing from roughly $1,000 to $20,000 per coin at its peak. But the year 2018, remains puzzling, for the start as been rough for the cryptocurrency, losing almost half of its value. According to most of the experts interviewed by the International Business Times (IBT), the market price for Bitcoin will partially restore after a dramatic decline (BATTLEFORWORLD: which seems to be emulating the stock market play of “dump and pump”/crash and buy, and according to some, soon), with an average predicted value of $14,000. Some optimists even go as far as to say Bitcoin can reach $50,000 in value in 2018, like Spencer Bogart, partner at Blockchain Capital, who told CNBC that institutional investors may play a key role in its future. Matthew Peterson, chief marketing officer at Jive Communications, adds that in the future, Bitcoin and other cryptocurrencies will drastically change their roles: “…cryptocurrencies are revolutionary ideas that are currently camouflaged in get-rich quick schemes. Once the initial speculative state dies down a bit and we start to see real improvements in people lives (faster transactions, safer wealth storage, automated contracts, etc) […] we are seeing the beginning of a better […] financial system for the people of the world,” says Matthew in his interview with IBT. Nouriel Roubini, professor of economics at New York University, said bitcoin was “the mother of all bubbles” favoured by “charlatans and swindlers” as it fell below $8,000 (£5,600) early on Friday, marking a 30% drop since the beginning of the week as investors became increasingly twitchy about a clampdown on cryptocurrencies by regulators. Later it rallied, climbing back over $8,600 by 3pm (GMT). Bitcoin has lost more than half its value since hitting a peak of near $20,000 in the week before Christmas. Dubbed “Dr Doom”, Roubini said the sharp fall was the beginning of a crash that would see the value of the digital currency plummet “all the way down to zero”. MEMORYDEALERS – February 4, 2018 (Youtube posting 2013): A little over 2 years ago, I (Roger Ver) made a bet for $10,000 that Bitcoin would outperform gold, silver, the US stock market, and the USD by more than 100 x over the next two years. I’m here today to say that I was wrong, In reality it took about two years and two months for Bitcoin to outperform everything else by more than 100x. Over that time, gold and silver are down, the stock market is up about 45%, but Bitcoin is up more than 15,000%, or more than 300x everything else.